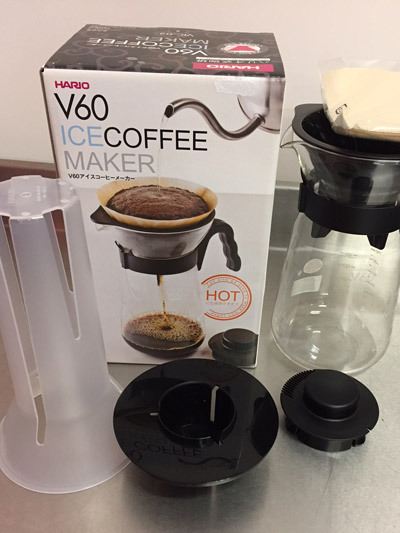 V60 Ice Coffee Maker – also makes hot coffee. 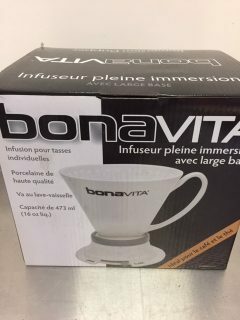 Includes Cone shaped filter with large hole and spiral ribs for maximum coffee expansion. The ice chamber is removable. 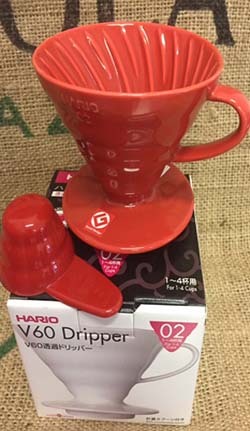 The glass pot comes with a lid and holds 700ml (2-4 Cups). 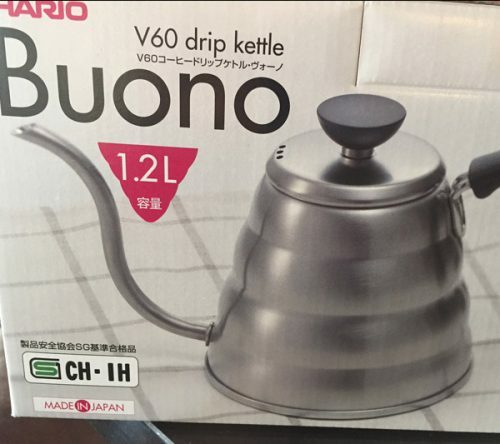 Includes a package of 10 V^) #2 Filters. Add syrup and cold milk and you can make a great tasting latte! Full easy to follow instructions enclosed.